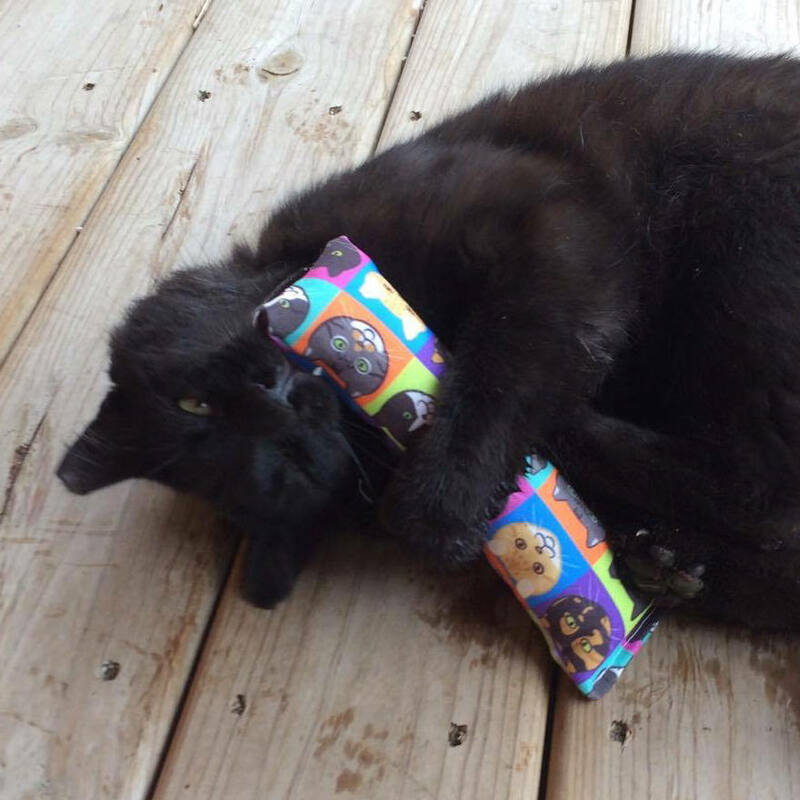 Pizza and Cats - two of our favorite things! 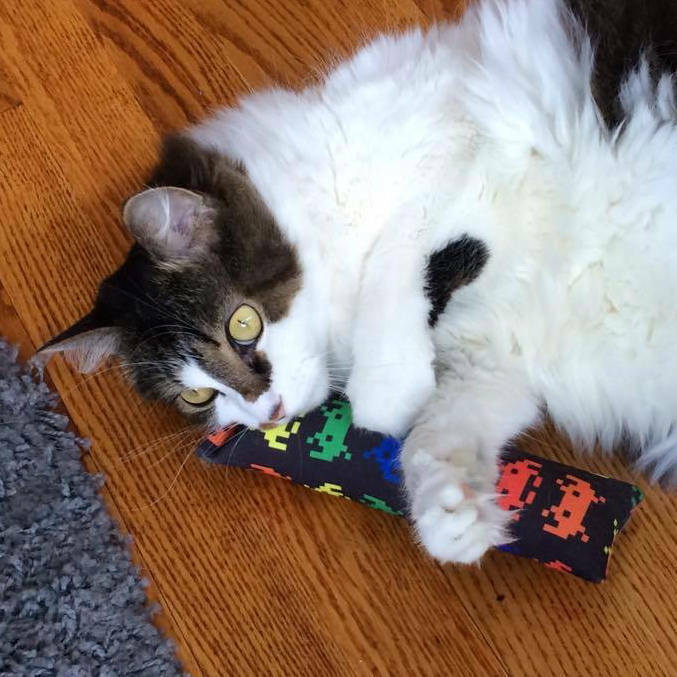 Eco-kickers are made from a special canvas that is 45% recycled and super tough and durable - perfect for a kitty that loves to bunny kick! 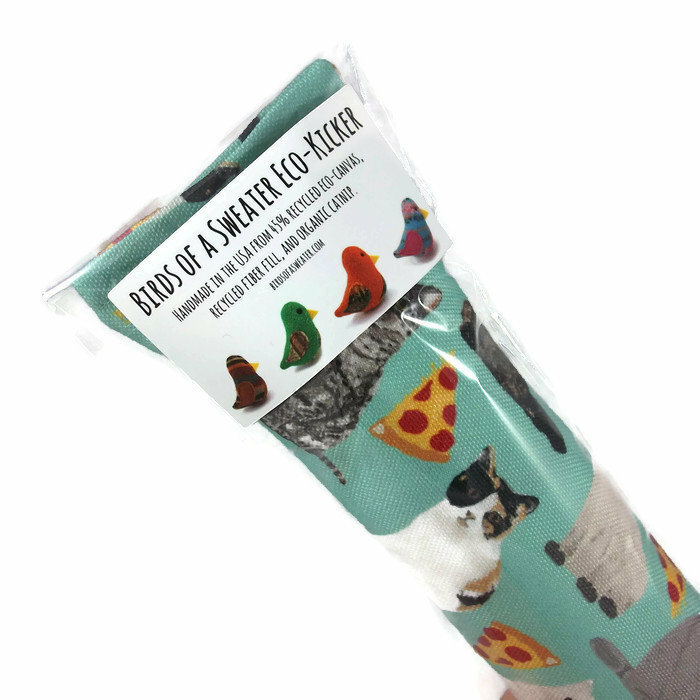 This fabric is printed with water-based inks that are baby safe, so your kitty can kick and chew safely all day long. 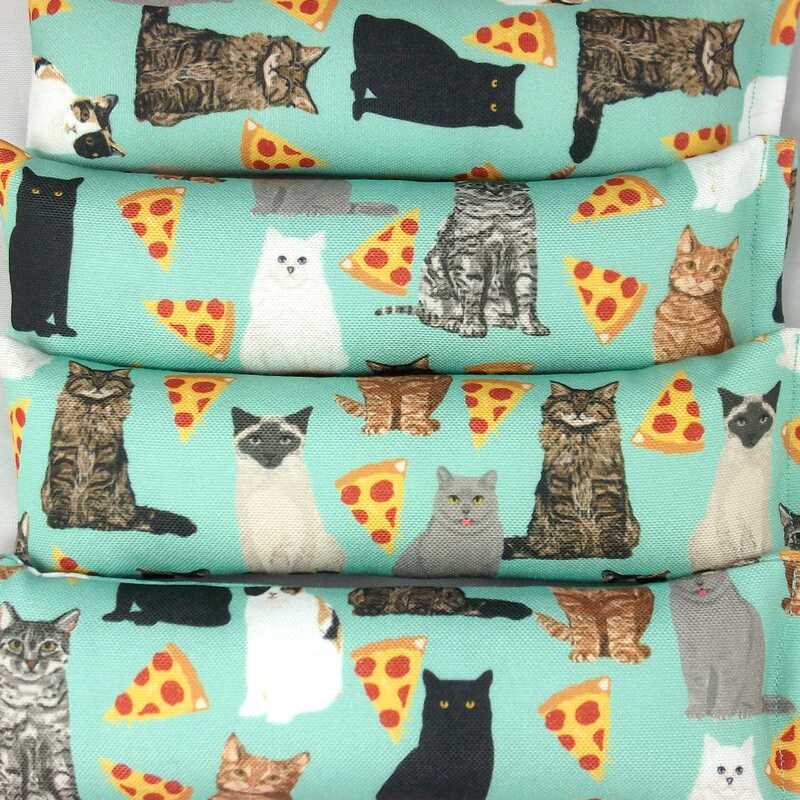 This print is Pizza Cat. Please note that the pattern placement can vary. 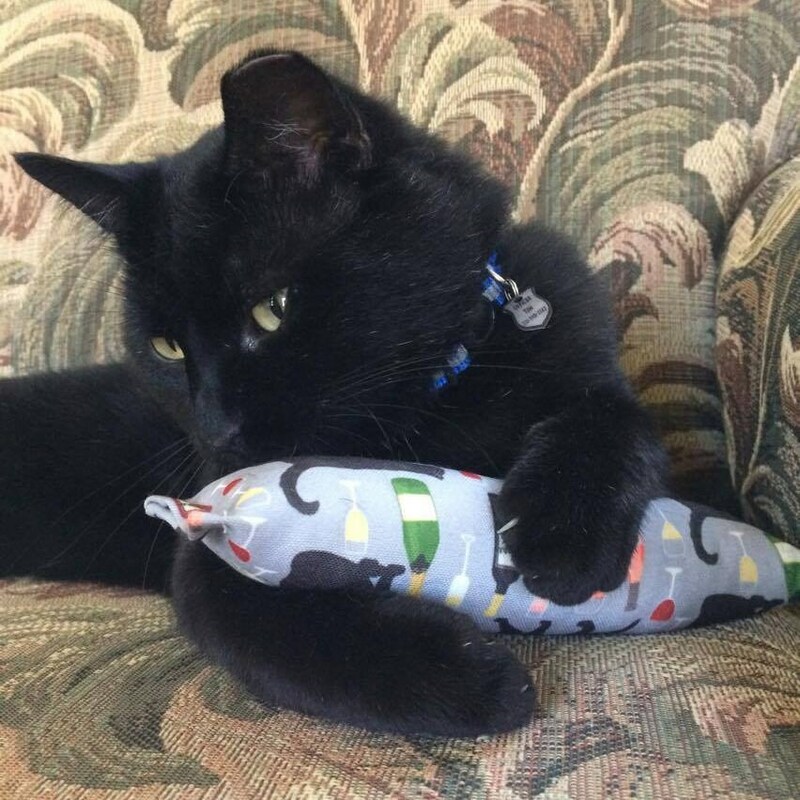 Each is stuffed with recycled fiber fill and organic catnip. Each measures 8" long and approximately 2.25" wide. 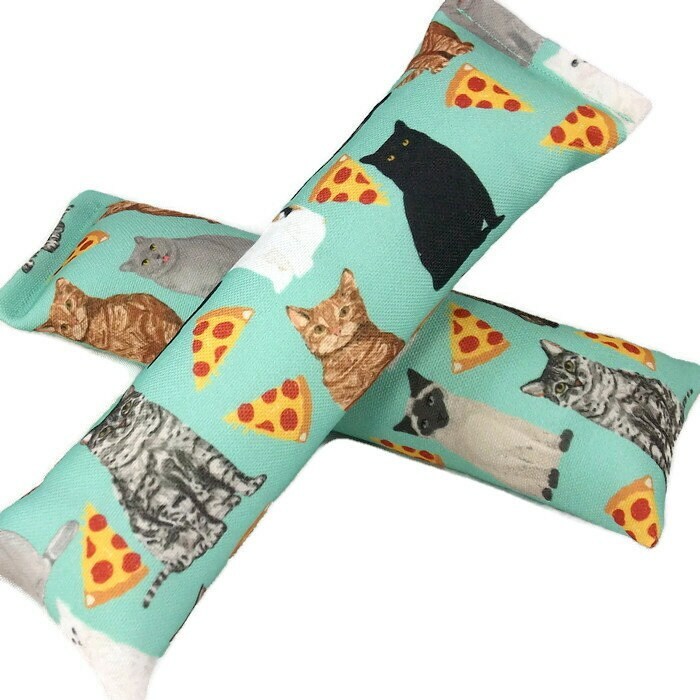 These are crafted so well and the kitties love them. Highly recommend, my cats love these kickers.